South Korean internet giant Naver said Thursday its operating profit fell 29 percent on-year in the third quarter due to losses from its Japan-based mobile messaging unit Line and increased tech investment costs. The firm posted an operating profit of 221.7 billion won ($195 million) in the July-September period, down 29 percent from the same three months of last year. 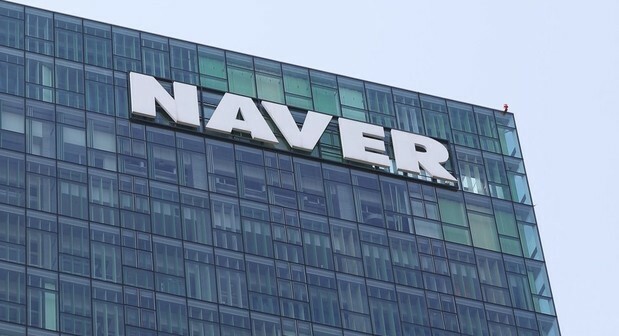 Third-quarter revenue came to 1.39 trillion won, up 16.4 percent on-year, while net profit fell 68.3 percent on-year to 68.4 billion won, according to Naver. By category, advertisement revenue came in at 136.1 billion won, up 2.5 percent on-year. Revenue from the business platform segment increased 11.5 percent on-year to 613 billion won on increased profitability from mobile and shopping search ads. IT platform revenue jumped 51.1 percent on-year to 88.5 billion won on the back of robust growth from mobile payment platform Naver Pay and its cloud business. Revenue from Naver’s content services rose 32.8 percent on-year to 36.1 billion won, riding the growth of the Naver Webtoon platform and livestreaming app V.
Meanwhile, revenue from Naver’s Japan-based mobile messaging unit Line came in at 524 billion won, up 21.2 percent on-year, according to the company’s earnings report. “With a general economic slowdown and sluggish growth of the mobile market, the growth possibilities of our existing businesses are decreasing. Meanwhile, global competition is intensifying,” Naver CEO Han Seong-sook said in a statement.